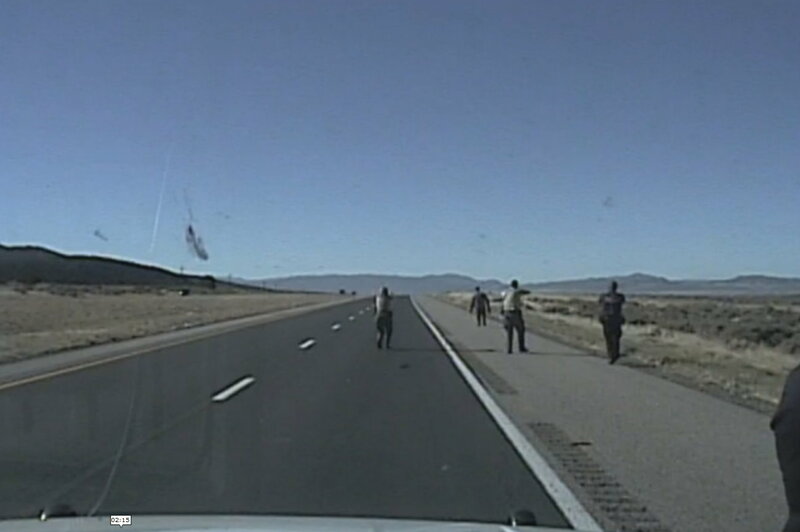 ST. GEORGE – Authorities have released dash-cam footage of last week’s highway pursuit of Dennis Ruiz, who is accused of an attempted carjacking in Cedar City. He was ultimately pulled over and subdued with a stun gun before being taken in by police. The nearly 10-minute video of Thursday’s pursuit was released Monday by the Iron County Sheriff’s Office. Police pursued the man on Interstate 15 following an aggravated robbery incident reported at a Cedar City gas station that morning. The end of the chase is featured in the media player at the top of this article. Ruiz, of St. Paul, Missouri, approached a man at a Shell gas station, 1355 S. Main St, who was filling his car with gas and demanded his keys, Cedar City Police Sgt. Jerry Womack said. When the man refused to handover his keys, Ruiz allegedly grabbed the gas nozzle and produced a lighter and flicked it while threatening to spray the man with gasoline and light him on fire. Ruiz then got into the man’s car, with the man going in after him through the passenger’s side window, Womack said. During the struggle, Ruiz got out of the car and sprayed the man with gasoline. He then took the nozzle and filled up his own car and drove off. An estimated $20-$30 worth of gas was put into Ruiz’s car using the man’s credit card, according to a probable cause statement. An “attempt to locate” call was broadcast immediately by police, which resulted in Ruiz’s vehicle being located on northbound I-15 a few minutes later. Ruiz took to northbound I-15 where his vehicle was recognized by a Parowan Police officer at milepost 78. He followed and flipped his lights and sirens on after Ruiz took an emergency turn-around to get onto southbound I-15 near milepost 83. “I activated my lights at that point, but the suspect would not pull over. I turned my siren on, but the suspect kept driving,” the Parowan officer wrote in a probable cause statement. The Utah Highway Patrol set up spikes at milepost 71, damaging the tires of Ruiz’s car and eventually stopping him at milepost 69. This is where the video featured in the media player above begins. Officers conducted a felony stop and drew their weapons as they approached Ruiz’s car. Ruiz walked away from the approaching officers and did not respond to their calls for him to stop. He was ultimately taken into custody after being shot twice with a stun gun. Ruiz was booked into the Iron County Correctional Facility and has since been charged with felony counts of aggravated robbery and failing to respond to an officer’s command, as well as misdemeanor counts of theft and interfering with an arresting officer. He’ll also faces an infraction for crossing a highway divider. 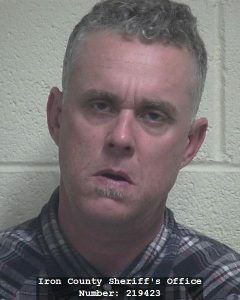 A preliminary hearing for Ruiz has been scheduled in 5th District Court in Cedar City for Nov. 22. I thought officers retained composure during a very threatening situation. Some might have used deadly force.